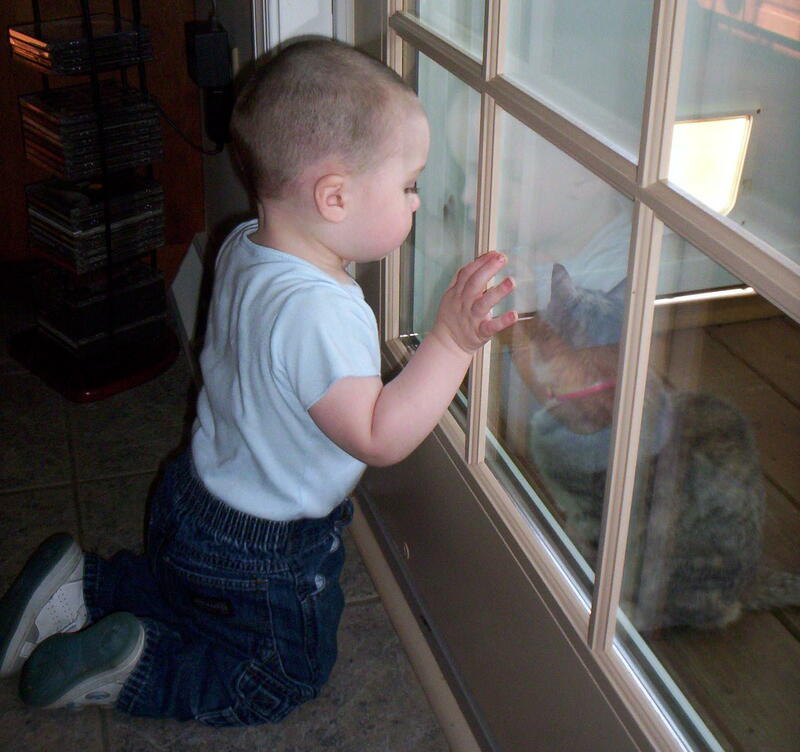 This is a cute picture of Blaine looking out the sliding glass door at my cat Emily. Blaine was just three years old I believe. He thought Emily was so pretty. I don’t know where Emily is anymore. John called the SPCA to come take her and Tesla’s cat Sparky, away. He claimed they were strays. Disposable cats, just like dogs in John’s world. Later that day, John took Blaine outside with him. John decide to trim the sumac trees. He accidentally bumped Blaine in the back of the head with the chainsaw. Thank God it was not engaged. Blaine will forever be missing hair and have a scar where Uncle John almost cut off his head.